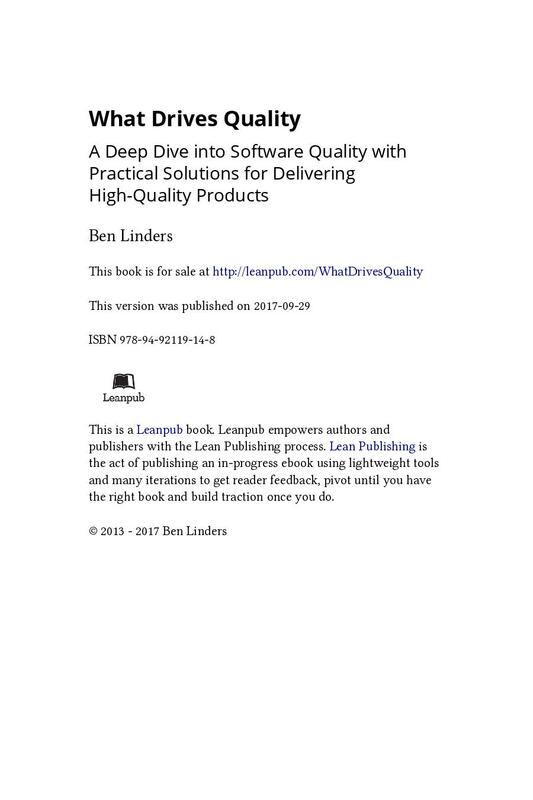 With plenty of ideas, suggestions, and practical cases on software quality, this book will help you to improve the quality of your software and to deliver high-quality products to your users and satisfy the needs of your customers and stakeholders. 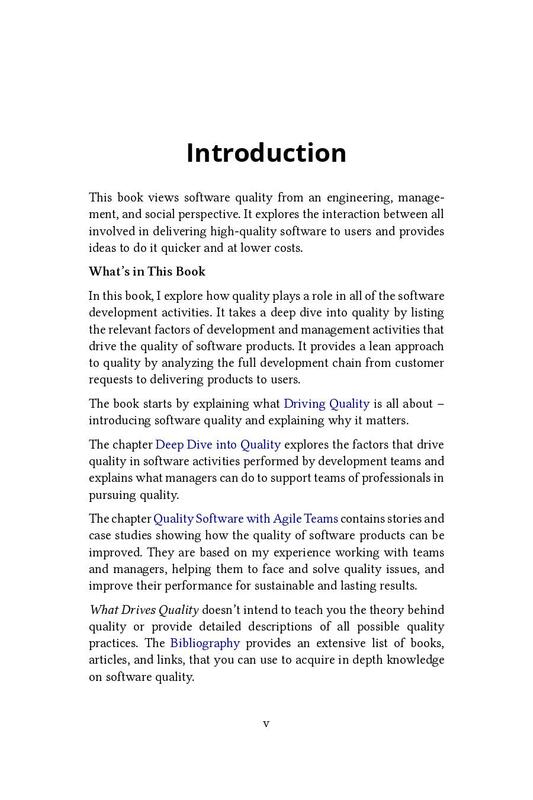 The book What Drives Quality explores how quality plays a role in all of the software development activities. 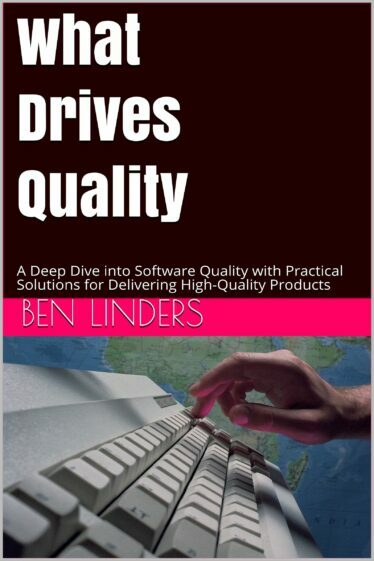 It takes a deep dive into quality by listing the relevant factors of development and management activities that drive the quality of software products. 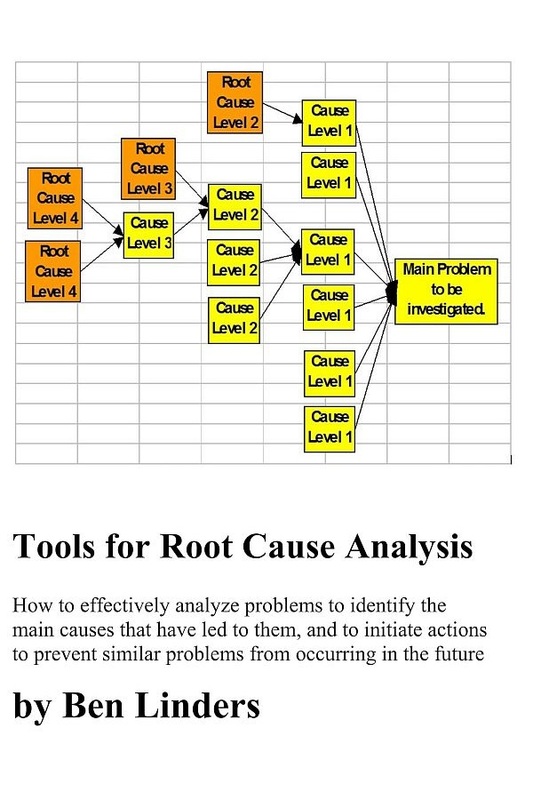 It provides a lean approach to quality by analyzing the full development chain from customer requests to delivering products to users. 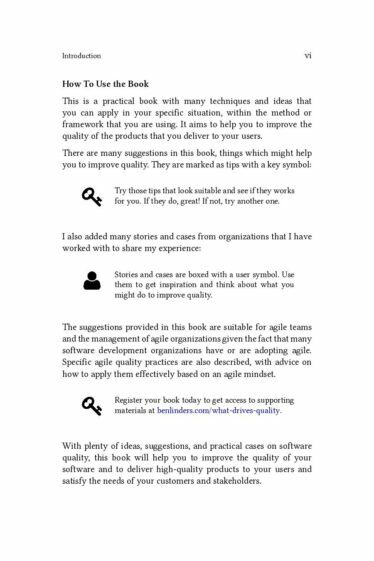 The book is intended for software developers and testers, architects, Product Owners, agile coaches, Scrum masters, project managers, and operational and senior managers who consider quality to be important. Note: This is the 1st edition of What Drives Quality. 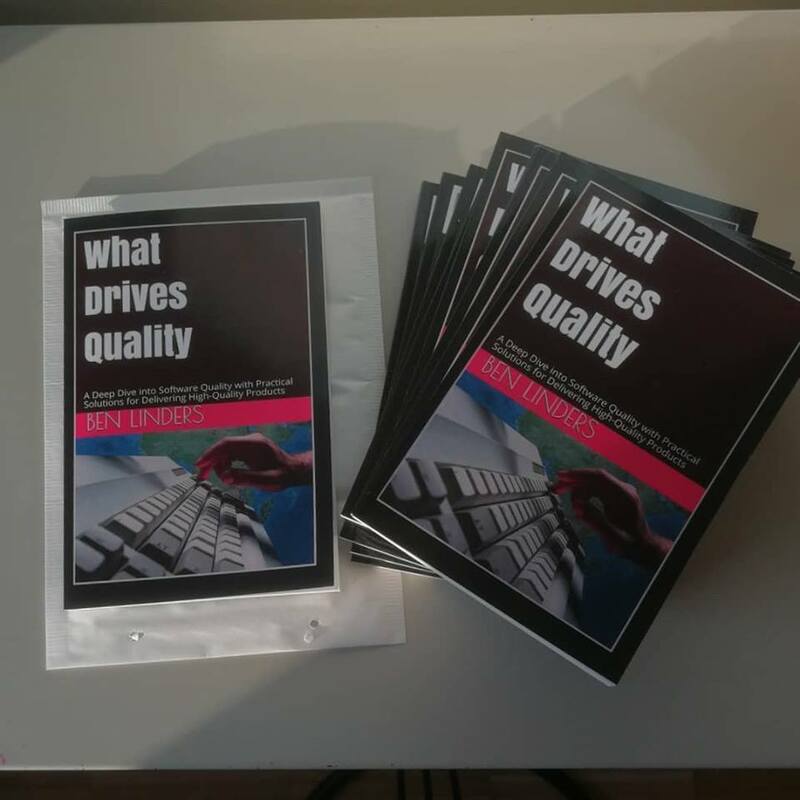 A 2nd edition of the book is in progress. 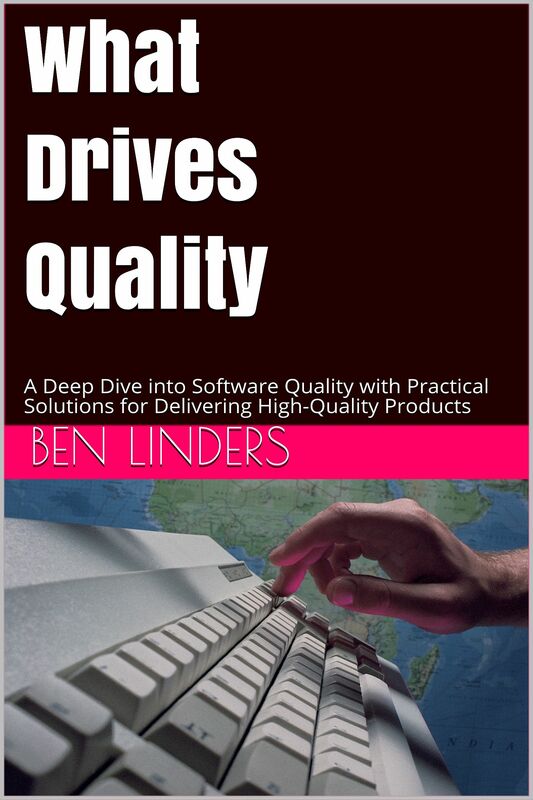 Until it’s released you can only buy What Drives Quality- 2nd edition on Leanpub as an eBook. 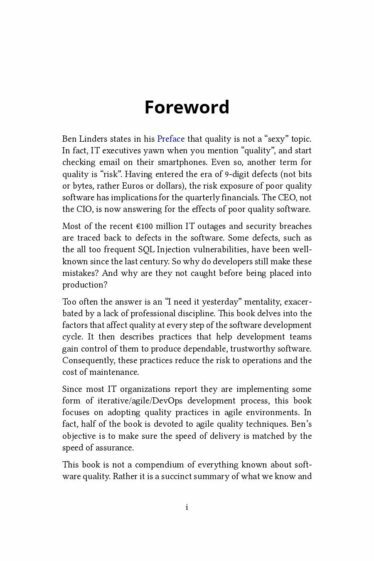 The book starts by explaining what driving quality is all about. 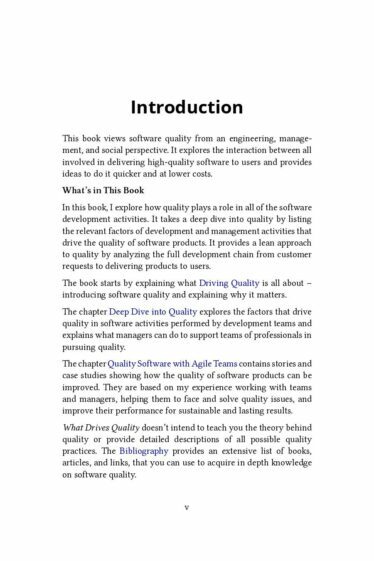 Next, it describes factors that drive quality in software activities done by development teams and explains what senior managers, operational managers, and project managers can do to support teams in pursuing quality. 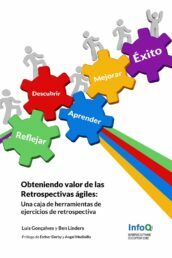 Practices based on the quality factors are described in each section, with suggestions on how to apply them. 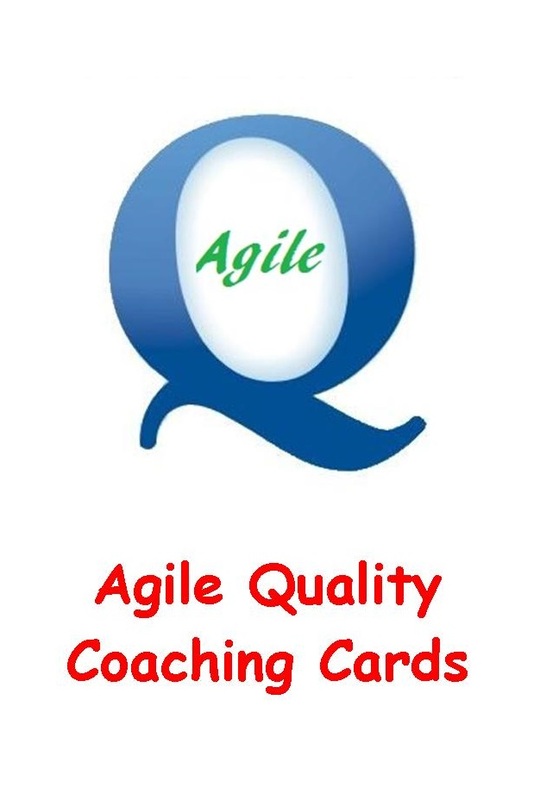 The aim is to help you to improve the quality of the products that you deliver to your customers and end users. 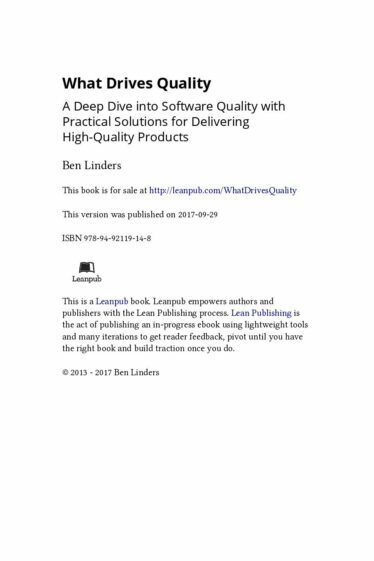 The book provides stories and case studies showing how the quality of software products can be improved. 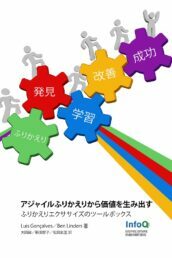 They are based on my experience working with teams and managers, helping them to face and solve quality issues, and improve their performance for sustainable and lasting results. A small but powerful book which, just like my successful first book Getting Value out of Agile Retrospectives, provides many ideas, suggestions, and examples that you can use in your daily work. 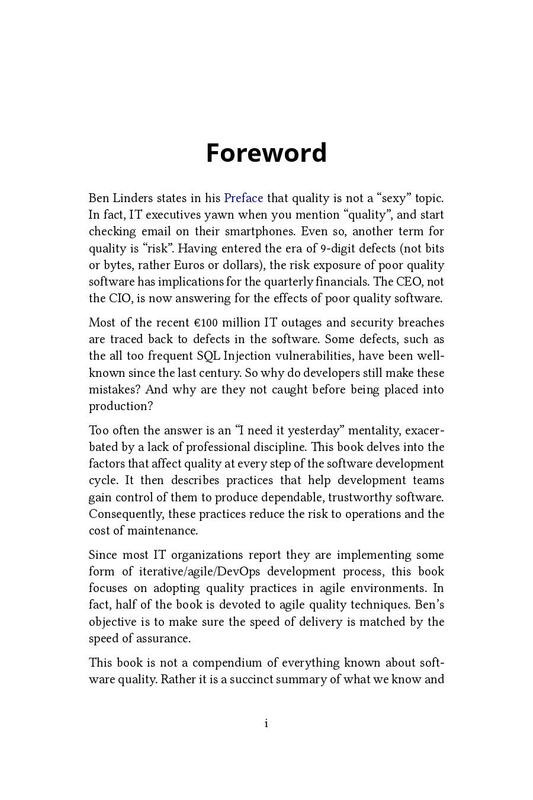 This book is a succinct summary of what we know about software quality and how to apply it. 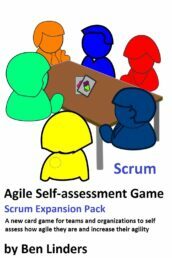 It can be read in “agile time”, and delivers a solid overview that can set readers on course to higher quality, lower risk software. 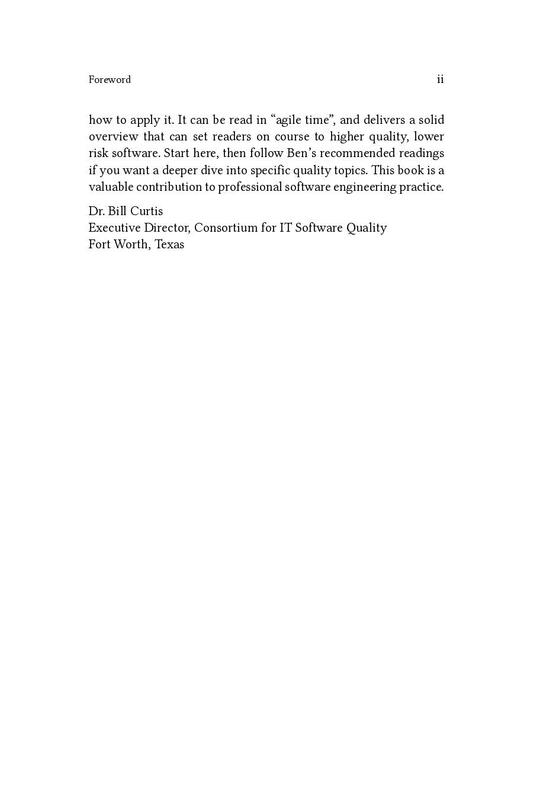 This book is a valuable contribution to professional software engineering practice. 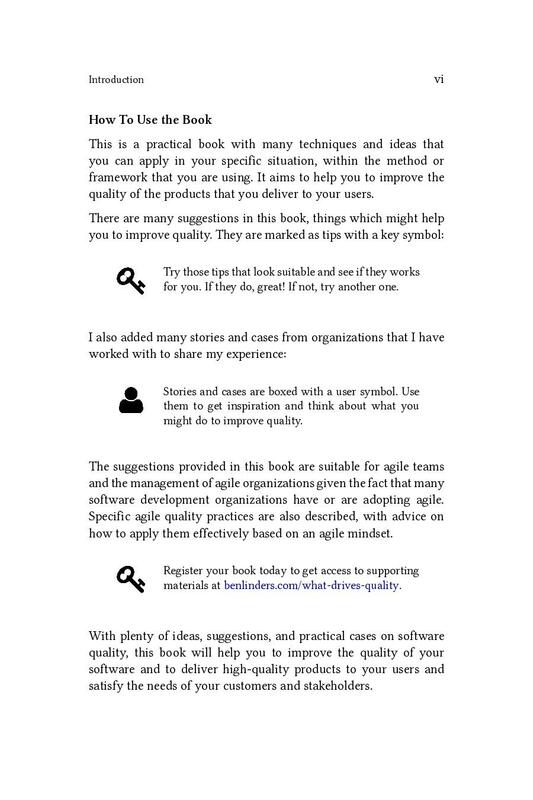 Half of the book is devoted to agile quality techniques. Ben’s objective is to make sure the speed of delivery is matched by the speed of assurance.